On this page you will find specific Action Ideas that rural communities are using to help families plant their feet firmly on the Earn It road toward family economic success. Each Action Idea Profile details useful information about how the Idea works, what it takes to mount it—including a degree-of-simplicity index—and some key resources to help you along the way. Always remember: One size does not fit all. 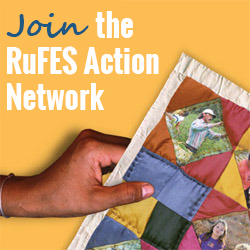 Which RuFES Action Ideas make sense vary by community. Something that is difficult in one place might be relatively easy in another. So start where you are: Learn about the low-income working families in your community, the barriers and opportunities they face, and the resources you have in place to build on before you decide which ideas to pursue. Please check back regularly for more Earn It Action Ideas. Or click here to view all Action Ideas.